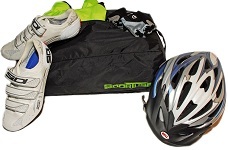 Pack, organize and store your small accessories in our three conveniently sized Gear Paks. 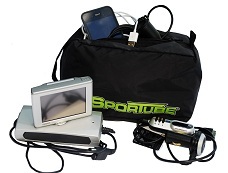 While traveling, pack in between skis and snowboards in your Sportube to save space and keep everything in one place. 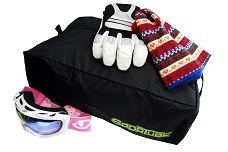 Gear Paks can also be used in any of your luggage to make organizing a breeze when traveling. In between trips, use for storage and organization around the home, office or vehicle! Ideal for gear, electronics, shoes or anything else you can think of. Made of 420 denier nylon with a water resistant polyurethane coating, the Gear Paks will keep your items organized, protected, together and dry. Small: 8" x 6" x 5"
Medium: 12" x 8" x 5"
Large: 11" x 17" x 5"
Very handy bags of various sizes to have. Sturdy construction and design. Purchased a gear pack for myself to organize contents of ski bag. Since I pack all my clothes with skis it makes it easy to pack and unpack bag quickly.